3 vital points but Our striking problem bado iko. Bravo Boys. Who said you cannot challenge for the title …………the “philosophy is working better on the opponents and they get confused and score own goals. we still have little grip of the Philosophy in front of goal. Need to see more goals. Can we start countdown the return for meddie? Or countdown for the Exit of some of the players? The game was well played,I think we still need to work on the striking force but all in all there is improvement! There is no official communication in writing or otherwise as regards suspension of SPORTSPESA sponsorship. K’Ogalo donning their playing regalia with the sponsors logo as detailed in the contractual obligations and as such all these hullabaloo and tirades about hooliganism vis a vis suspension is nothing but “SIASA Baridi”. We march on to the top. @OGANGO TRAILER, when you are suspended even at work you are still an employee so no problem with using the SportsPesa uniform. But if we care for the club let’s internalize the messages from all quarters and do what is RIGHT and LAWFUL as we support our team. Chest thumping when we know supporting our team FINANCIALLY to compete locally, regionally or even at he continental level is something that we have not been able to achieve. That striking force desperately needs a talented partner for tuyisenge upfront asap…So let’s confront the Elephant in the room…Which foreigner should be let go to pave way for Kagere’s return?Or which local player in Kenya or O’wise can provide the much needed sharpness in front of goal if signed in June? Why can’t we break the bank and get our Ochomo back? If we need a foreigner to sharpen our striking then Sugira of Rwanda is the man. I think Kagere’s energy might just have peaked a while back. Those are my personal thoughts. Good progress Kogallo..now priorities should shift to bringing on board Paul Were and Paul Mungai Kiongera and we are done and dusted with transfer ( my personal opinion !! ) . Furthermore, it is interesting to note that CECAFA KAGAME CUP for 2016 will be held in Zanzibar. It time to start planning for zanzibar camp. For me Ochomo is not the answer.Like so many before him he will turn out to be a one hit wonder.He has to convince me over the season for me to change my mind!! Meanwhile the idea of one foreigner making way for another might be counter productive.Foreigners may not necessarily be the answer to our striking problems!! Some of us should wake up to reality. Unless Ze Maria(am praying he’s not another B. Williamson) as strong willed as Loga/FN then you will have EC sanctioned signings and releases e.g signing Brazilians like Rodriguez and letting go the likes of “Lwanda Magere” ati coz of high demands then paying that amount for a player who though good is injury prone. Yes most likely we’ll win the league but that will be hollow unless we cap with another could run in CECAFA, the shield cup and good foundations to start making inroads in CAF. I wish some of the comments comes from those who understand what a team is?This kind of critism will not build the palyers.I watched them play Bandari fc,this is a very good team even our opponents accepted they were watching a different Gor Mahia.We are heading the right way.The technical bench can add power where they feel need reinforcement but not from us guys. This guy has something special and time will tell if we give him chance to implement his vision but not to rush him.That is what is happening all over the world. 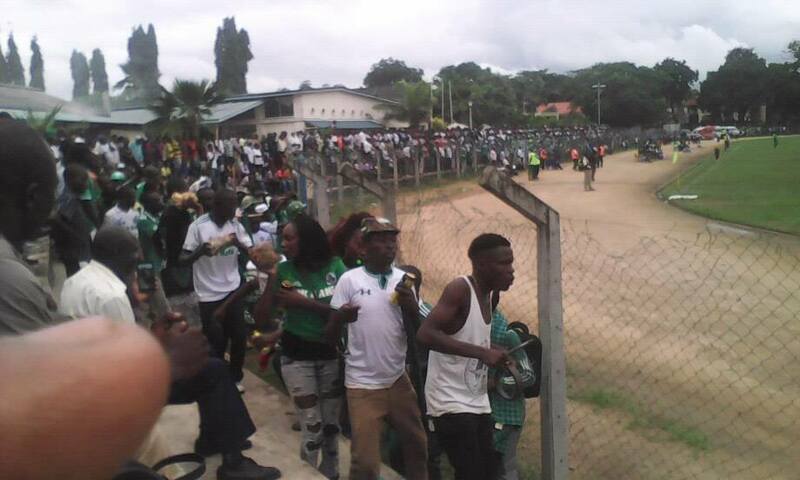 I see that attendance for Kogalo matches in Mombasa and Kisumu is still high. In Nairobi, attendance has plummetted compared to what we used to see in 2010 and 2011 when we used to finish 5th in the league. What has happened? Are the tickets too expensive? Are people bored? vmi agree with @Charles on futaa thing. All bloggers, we do not need Ochopo, Wanga and Were. On Kiongera, it was we fans that made life difficult for Paul Kiongera with boos and all sorts of noises from the likes of Jakoyo and etal. We do not need business men in he name of signing good players. I think we only need two players in striking cm attacking midfielder. And we have these players locally in the name of Eric Johana of Mathare, Ovella Ochieng of Sharks and Kipkurui of Zoo. Let us also promote players from our youth team and this will make us formidable as we will have a very strong foundation from homegrown players that have DNA of kogalo but not businessmen. Personally I do not want these recycled local players that will add no value to the team. Ochomo is still a clueless player but only physical. Were betrayed us while wanga has reached his sunset years. What value will they add? Please let us think rationally before making suggestions. On foreign players, we only need exceptional talents like Sugira and Meddle both of Rwanda. On poor attendance, the solution is to continue winning our matches as well as the office need to engage fans and encourage them to attend all our matches. AR and entire EC should use the media FM radio stations, daily newspapers, newsletters, TV and other social gatherings and campaigns like jazza stadiums. These methods of encouraging fans can be sponsored by fans, sponsors, club and other well wishers. We can also use roadshows particularly from midweek fir example from Wednesdays all through to match days. We can also use promotional activities such as raffles where fans can win number of prizes. Let the club also have football ambassadors and radio personalities such as Gidi Gidi, Carol Radul, Larry Asego, Ndambuki of Church Hill live, etc for such activities. These personalities can be used as Gor Mahia goodwill ambassadors to fight against hooliganism, ills such as bhangi smoking and thuggery as well. Radio talk shows can also be explored to help on jazza stadia campaigns as well as for curbing hooliganism. The talk shows can be very useful tool for talking to fans and getting feedback from fans on how such negative things on Gor mahia brand can be eliminated. Let EC led by AR be on the front line for urging fans to turn up in large numbers and at the same time engage fans and listeners on how hooliganism can be eliminated. Radio Talk Shows and Road Shows will be very useful in killing two birds with one stone. The EC or the club can also use former players in promoting image of the club and appealing to fans to attend our matches. Finally appointing and empowering full time secretariat salaried staffs headed by CEO, Finance Director, Marketing Director, Membership and Recruitment Director, and Commercial Director. All these employees will be given performance targets such as jazza stadia initiatives, distribution of club merchandises, promotion of club image, marketing the club, prudence in financial management, scouting and signing of players, developing club networks, setting up of youth and women football, establishing of international networks, initiating exchange programmes etc. I really love your idea @Jamigori. I wish the EC gets too see all these. I really like the style they are using thanks for the new coach samba style. Am for the idea of football ambassadors. ..it works,especially through well known personalities/celebrities.who is our PR guy?can’t they explore innovative ways of selling the Gor brand?